Daniel Dvoress aka Oxata discusses BB adjustments that you should make versus different types of middle position openers. April 5, 2019 | 5 p.m.
Back for more 3-bet pot discussion, Daniel Dvoress aka Oxata discusses IP counter-adjustments to various BB 3-bet strategies at 100bb stack sizes. March 15, 2019 | 5 p.m.
Daniel Dvoress aka Oxata dives into the second installment of his 3betting series. After a short recap of the preflop takeaways of part one, this video focuses on postflop play with a focus on possible exploits. For each of the presented flops, we find that PIO suggests rather counter-intuitive strategies. Feb. 1, 2019 | 5 p.m.
Daniel Dvoress aka Oxota creates a new series on 3bet pots in MTTs as he finds players constantly struggling to play these spots with dynamic stack depths. Part one provides an intro before focusing on defending against 3-bets preflop including PIOsolver preflop outputs for both GTO and exploitative settings. Dec. 25, 2018 | 5 p.m. Reviewing a hand that took place in a $250k super high roller tournament, Daniel Dvoress aka Oxota uses PIO Solver to discuss the importance of precision when playing against the best players in the world. Dec. 7, 2018 | 5 p.m.
Daniel Dvoress aka Oxota uses PIO Solver to review three recently played MTT hands while focusing on playing IP pots as the cold caller. Looking over PIO results, he points out several spots where small deviations from optimal play can lead to big changes in optimal counter strategies. Nov. 15, 2018 | 5 p.m.
Daniel Dvoress aka Oxota reviews some tough spots from his recent WCOOP tournaments and focuses on how small changes in preflop ranges can have significant effects on optimal postflop play. Oct. 26, 2018 | 5 p.m.
Daniel Dvoress aka Oxota uses PIO Solver on 3 hands from the WSOP Main Event and EPT Barcelona to illustrate how you can put your opponents in uncomfortable spots when you have a good feel for the less frequent branches of the game tree. Sept. 14, 2018 | 5 p.m.
Daniel Dvoress aka Oxota explores his BB strategy when facing a raise from a late position player. In the first hand, he discusses how it's easy for him to maintain his frequencies but difficult to decide which hands fall into each range. PIO comes in handy and helps establish a solid strategy. 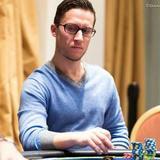 Later he finds himself leading in an awkward spot against Issac "philivey2694" Haxton. Aug. 22, 2018 | 5 p.m.
Daniel Dvoress aka Oxota examines BB defense spots in PIO facing EP raises. Using 10 hand examples, Daniel focuses on population exploits and explains how minor differences in board texture can lead to vastly different ways that ranges should be played. Stay tuned until the end for a board exploit that can be used in a number of spots. Aug. 9, 2018 | 5 p.m. In part 2 of his series, Daniel Dvoress aka Oxota looks into limped pots in blind versus blind scenarios. In this part, he uses PIO Solver to look at how our betting ranges should change with shallow stacks as opposed to 100bb stacks. July 24, 2018 | 5 p.m. Upon request, Daniel Dvoress aka Oxota looks into limped pots in blind versus blind scenarios. Using PIO to double check his intuition, he examines betting frequencies and tries to understand why our strategies change so drastically on different board textures. July 10, 2018 | 5 p.m.
Daniel Dvoress aka Oxota provides the final installment of his current series covering the action of the Sunday $2,100 high roller event on PokerStars. In this part he pays particular attention to opening ranges and whether we should be open jamming or not in different sports. June 22, 2018 | 5 p.m.
We reach the final table in this 4th installment of Daniel Dvoress' high roller series breaking down his play in the $2,100 high roller event. Due to their importance, all hands at the final table are shown and Daniel offers his advice on the play of hands that he wasn't involved in as well. May 18, 2018 | 5 p.m.
Daniel Dvoress aka Oxota provides the third installment of his current series covering the action of the Sunday $2,100 high roller event on PokerStars. April 20, 2018 | 5 p.m.
April 6, 2018 | 5 p.m.
Daniel Dvoress aka Oxota begins a new series on the action from his recent run in the $2,100 buy-in high roller event. Kicking off with a vpip filter, the series will escalate to an open hole card finale at the Final Table. March 6, 2018 | 5 p.m.
Daniel Dvoress aka Oxota continues his discussion of live hands from the PSC in Prague touching on bet sizing, river play and his general approach to these often difficult live events. Feb. 9, 2018 | 5 p.m.
Daniel Dvoress aka Oxota discusses a few interesting hands he played at the PSC Prague in this in-depth hand review series. In the first hand he faces a tough river decision against another RIO coach whose identity shall remain disguised. Jan. 19, 2018 | 5 p.m.
Daniel Dvoress aka Oxota continues his detailed analysis of leading the flop, this time focusing on a J9 hand that flops an open ended straight draw and a J7 flopping a gutshot plus a backdoor flush draw. Dec. 8, 2017 | 5 p.m.
Daniel Dvoress aka Oxota shifts his focus to flop leading decisions after his turn leading video garnered such positive attention. He reviews hands of the recent WCOOP $25k event and fires up PioSOLVER during the analysis. Oct. 6, 2017 | 5 p.m.
Daniel Dvoress aka Oxota takes a hard look at a hand from PSC Barcelona going street by street and giving his thoughts at the time and where he would have liked to done things differently. Sept. 8, 2017 | 5 p.m.
Daniel Dvoress aka Oxota utilizes CREV and PIO solver to take a detailed look at slowplaying a big pair preflop. Aug. 11, 2017 | 5 p.m.
Daniel Dvoress aka Oxota continues his exploration of check raising the flop this time using two hand examples to illustrate his theoretical concepts. July 21, 2017 | 5 p.m.
Daniel continues to discuss checkraising on paired boards, this time pulling examples from the deeper levels of his MTT play. July 11, 2017 | 5 p.m.
Daniel Dvoress aka Oxota takes a theoretical look at check raising on paired boards. He first looks at a hand from a previous video in which it was mentioned that he made a mistake and then uses additional hand examples to illustrate the points discussed. June 23, 2017 | 5 p.m.
Daniel Dvoress aka Oxota takes a departure from the recently theoretical intense videos in favor of a hand history review from the recent $25,000 SCOOP high roller tournament. As you can imagine, the field is full of some of the top players in the world and Daniel reviews hands against limitless, hhecklen, Maxim737 and gunning4you. May 26, 2017 | 5 p.m. Following up his previous video of multiple river sizings, Daniel uses a couple of hands to demonstrate the concept of leading the turn. April 27, 2017 | 5 p.m.
Daniel takes a theoretical approach to using different river sizings. March 24, 2017 | 5 p.m. In his new theory video, Daniel uses PIO to deeply analyze and come up with a strategy for a spot that stumped him in game. Feb. 15, 2017 | 5 p.m.